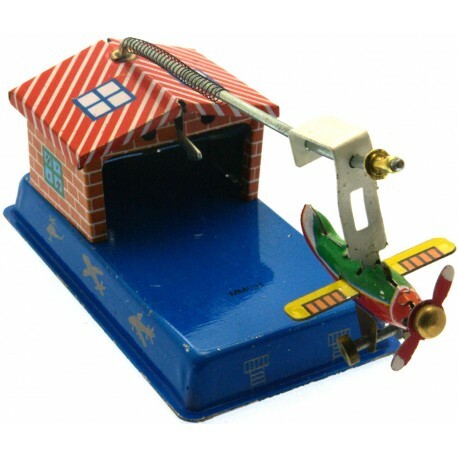 Quirky little mechanical tin toy plane hangar. 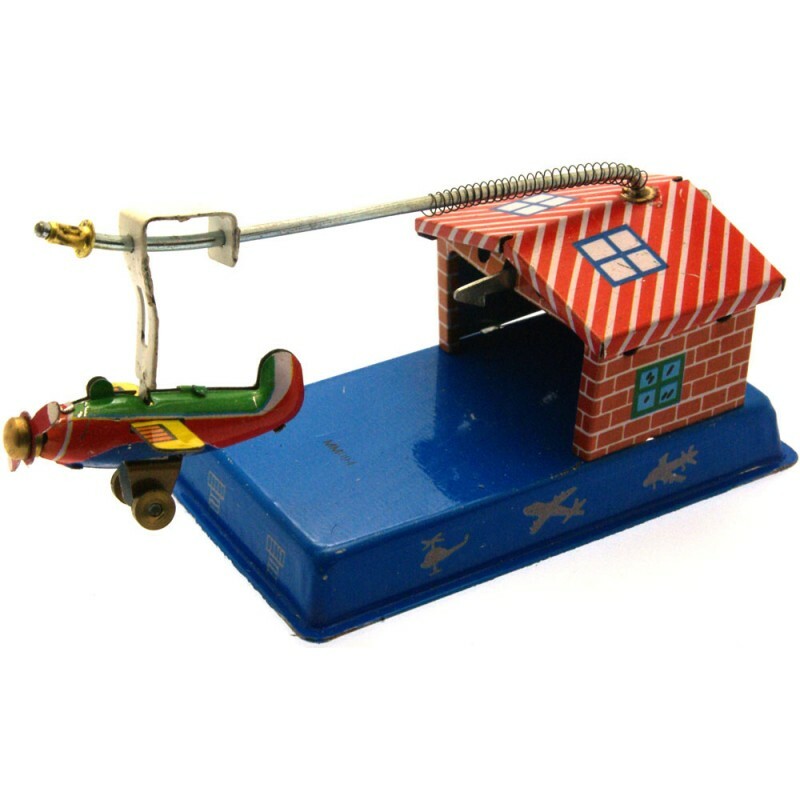 Pull the plane back into the hangar, release the lever at the rear and watch it fly up to the end of the rod. All metal construction, 11cm long. Made in China.